New York—When minilaparoscopy debuted in the mid-1990s, it failed to gain ground largely due to limitations of the instruments, which lacked durability and insulation for electrocautery and had a tendency to bend under pressure. But recently, development of a new generation of 2- to 3-mm instruments has resurrected interest in the technique, which some consider to be a middle ground between standard laparoscopy and robotic surgery for precise surgical tasks. One novel design, devoid of valves and seals, minimizes friction between trocars and instruments. The instruments could be considered an example of necessity spurring invention, making the most of limited materials to create something workable and potentially better. “I started using minilaparoscopy in 1998 because I was attracted by the technique. 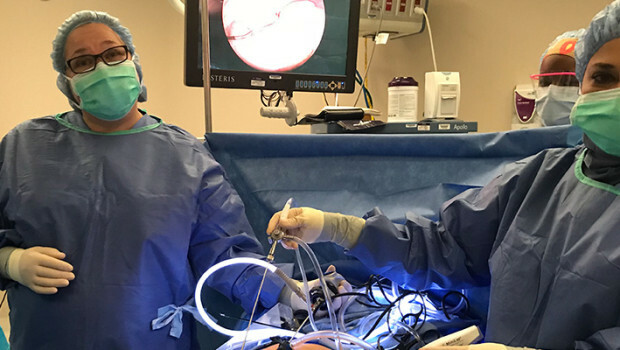 It was beautiful to see the masters operating,” Gustavo Carvalho, MD, associate professor of general surgery at the University of Pernambuco, in Brazil, told General Surgery News at the 2015 Minimally Invasive Surgery Week. Concerned that the dwindling supply of instruments would thwart his ability to continue performing minilaparoscopy, Dr. Carvalho turned to an acquaintance—a designer of small parts for a few major automobile manufacturers—for help. “He made for me a trocar that matched exactly my forceps for minilaparoscopy, but he could not make the valves and seals,” Dr. Carvalho said. At first, he worried that air leaks would be a problem. But by making the trocar a little longer, the leakage was kept to a minimum. Also, Dr. Carvalho noticed he was operating more smoothly with the new instruments. “People commented that videos of my surgeries had too many tricks, like I was editing the video to not show trembling,” he said. It wasn’t clear to Dr. Carvalho himself what was behind the steadier hand; the only difference he could identify was the instruments’ lack of valves and seals. Then he came across a paper suggesting that reducing trocar friction could improve surgical performance during high-precision tasks (Surg Endosc 2007;21:1338-1343). 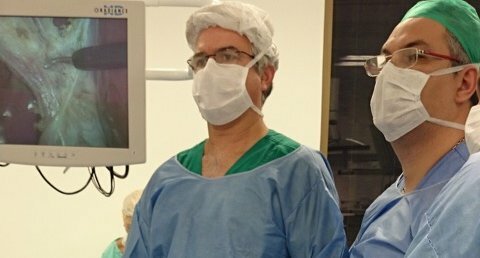 To evaluate the novel low-friction smaller instruments, Dr. Carvalho and his colleagues recruited 22 medical students and 22 surgical residents to execute a series of tasks using standard 5-mm, conventional 3-mm and low-friction 3-mm instruments in a standard surgical simulation trainer. The tasks ranged in complexity and tested grasping, precise two-handed maneuvers and suturing (Figure). In the task that required gross manipulation, bean collecting, 5-mm instruments outperformed the smaller instruments. But all participants performed faster using the 3-mm low-friction instruments for the three tasks that required the greatest dexterity—passing a suture through five rings, two-handed threading of a suture through four small “pearls” to make a collar, and manipulating a curved needle and suture into a single square knot (JSLS2015;19:pii:e2015.00067). At this point, there is no evidence to indicate that the use of low-friction mini-instruments results in better outcomes, but Dr. Carvalho found that patients prefer minilaparoscopy. They report less pain, usually go home the same day of surgery and appreciate the improved cosmesis; the scars look like freckles. He believes that minilaparoscopy is at least as safe as standard laparoscopy, and that it makes it easier for surgeons to complete complex procedures in challenging situations. The next step is a randomized trial of surgeon performance—standard laparoscopic versus minilaparoscopic cholecystectomy in patients—but Dr. Carvalho will probably not be one of the surgeons involved. “My patients all come to me asking for a mini. I will have to ask other surgeons to do this study,” he said. 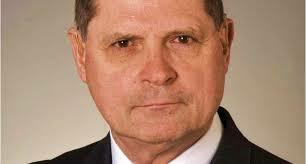 In Dr. Lanzafame’s opinion, it would be fairly easy for a skilled laparoscopic surgeon to adjust to minilaparoscopy. “The tools and technique are basically translatable from standard laparoscopy. You don’t need additional widgets like single ports; you don’t need robotics; and if you’re working in smaller spaces, as in pediatric surgery, the advent of a smaller-diameter instrument is a real boon,” he said. He also considered the low-friction element a plus. “That allows you to maneuver the devices more easily. The less force you need to maneuver them, the less likely you are to damage the instruments or the structures you are dealing with. “All of those things are good things, and if you consider the cosmetic aspect—I’ve seen a lot of photographs of clinical cases—the sort of wounds the smaller instruments leave behind are less obvious than [those left by] traditional laparoscopic tools,” Dr. Lanzafame added. Before he could endorse minilaparoscopy, Dr. Satava wanted to see evidence that it truly makes a difference in outcomes such as postoperative pain. “What we really want to do is make sure patients have the best possible surgery and the least discomfort postoperatively,” he said.